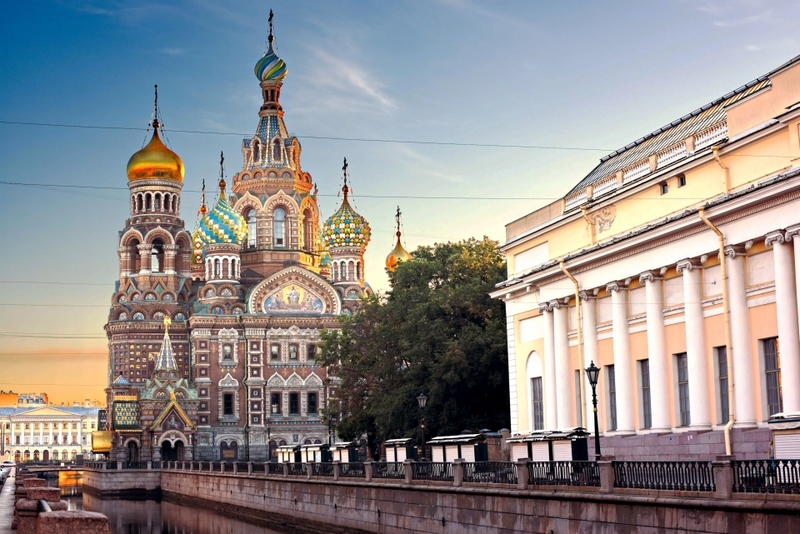 Russia's second largest city, St. Petersburg is considered as the country's cultural capital. This beautiful and romantic port city will blow your mind with stunning architecture, palaces, churches and elegant canals. Imperial city is renowned for its rich cultural and historical heritage and many museums and galleries. As Russian winters can get extreme, logically the best time to explore the city is in spring or fall. 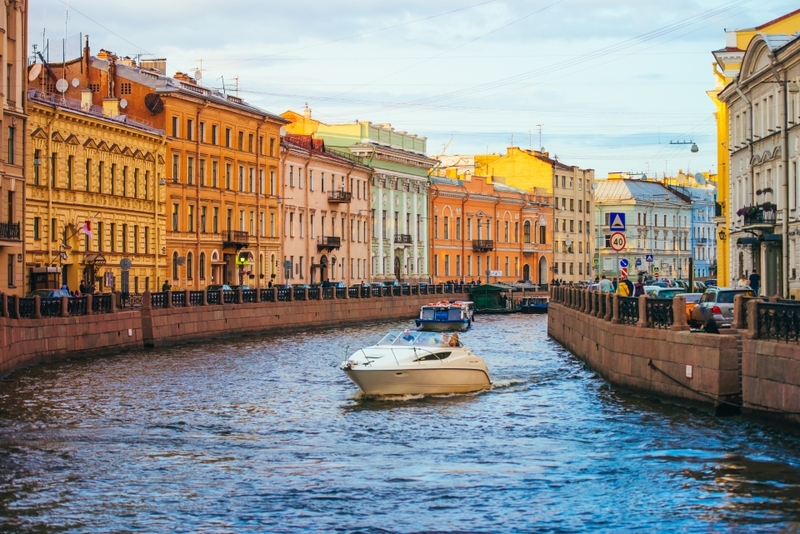 Saint Petersburg offers seemingly endless list of attractions, but we've compiled a list of top 10 things to see and do. Charming and romantic canals around the city have given Saint Petersburg the nickname "Venice of the North". Taking a boat cruise along the Neva River is one of the best ways to explore the city and marvel the city's impressive neo-classical architecture. With multiple rivers and many canals winding their way through the city, offering unique views of the city, a river cruise is a must for all visitors! The whole city is famous for its Imperial palaces and majestic parks, but Peterhof Palace is just so impressive it can't be missed. Located about an hour away from the city's center, Petehof's a large complex of palaces, gardens and fountains. Russian tsars used it as their main summer residence, so it's no wonder its exterior and interior are lavishly decorated. The major draw is the Grand Palace, built in Baroque style, and the beautiful Park surrounding it. 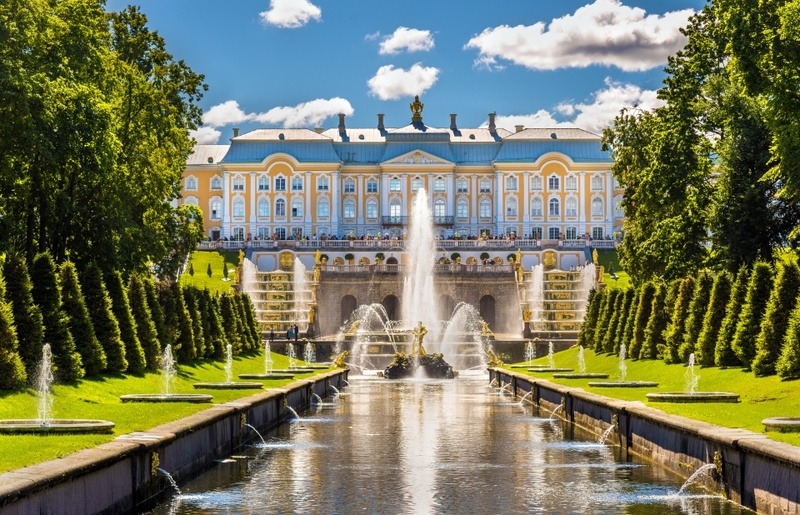 With more than 150 fountains and 4 cascades, the whole complex had gotten the nickname Russian Versailles. The State Hermitage Museum is the second largest in the world and houses the largest collection of paintings in the world. Around 3 million pieces from all over the world are kept here, including rich collection of Greek and Roman antiquities and European fine art. 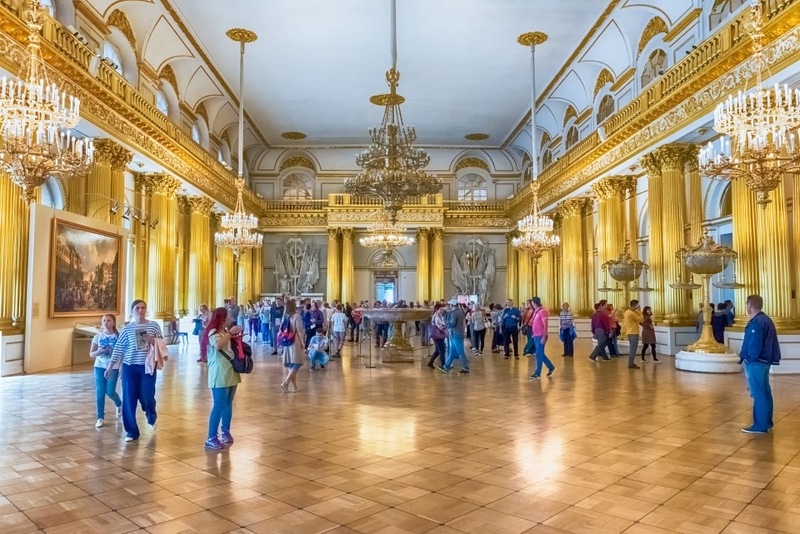 The Museum spans several sites, but the main collection is located within the impressive Winter Palace. Here you'll find masterpieces of famous painters like Leonardo Da Vinci, Goya, Rembrandt, Van Gogh etc. It's a must-see for all art and history buffs! With a similar façade to the famous St Basil's Cathedral in Moscow, this Church stands out from St. Petersburg typical architecture. This Orthodox Church stands on the exact place where Tsar Alexander II was assassinated. It was built in memory of him and that's why it's officially called The Church of Resurrection. With its five domes, the church is impressive both on the outside and on the inside. Interior of the church boasts the world's biggest collection of mosaics, so it's definitely worth going inside! St. Petersburg's main street houses many beautiful landmarks. The most famous street is 2.5 miles long and lined up with glorious palaces, historical buildings and lovely bridges. It crosses the city center from east to west and it's considered as the main avenue in town. 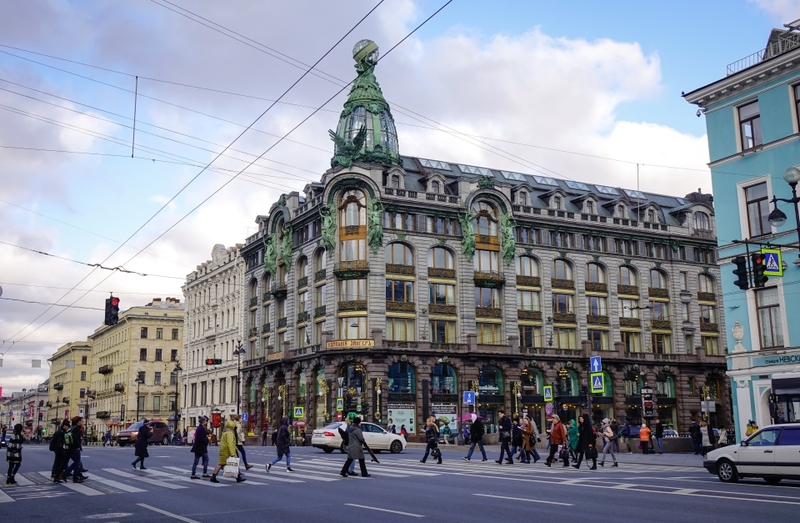 Besides historic monuments, Nevsky Prospekt is also a hub for shopping and nightlife. Also, it's scattered with cafes and restaurants, serving delicious Russian dishes.